I am embarrassed to say but I am constantly on my phone whether it be for social media or crazy photo taking. This in turn means that my battery life gets sucked dry and at times (such as the Bon Jovi concert) I am in the red. 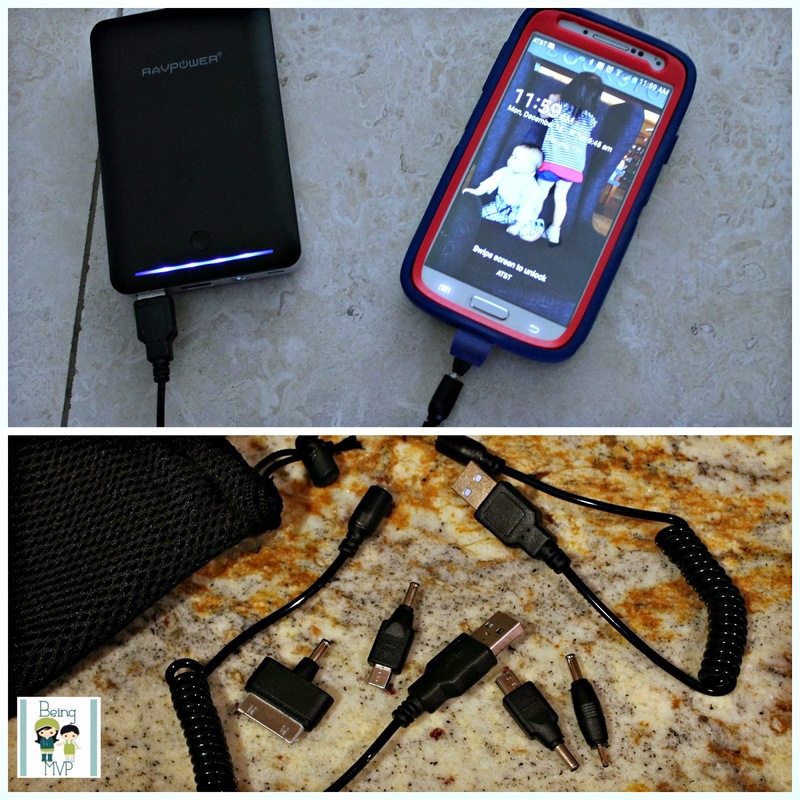 When the external power banks from Rav Power arrived for review, I immediately charged them. 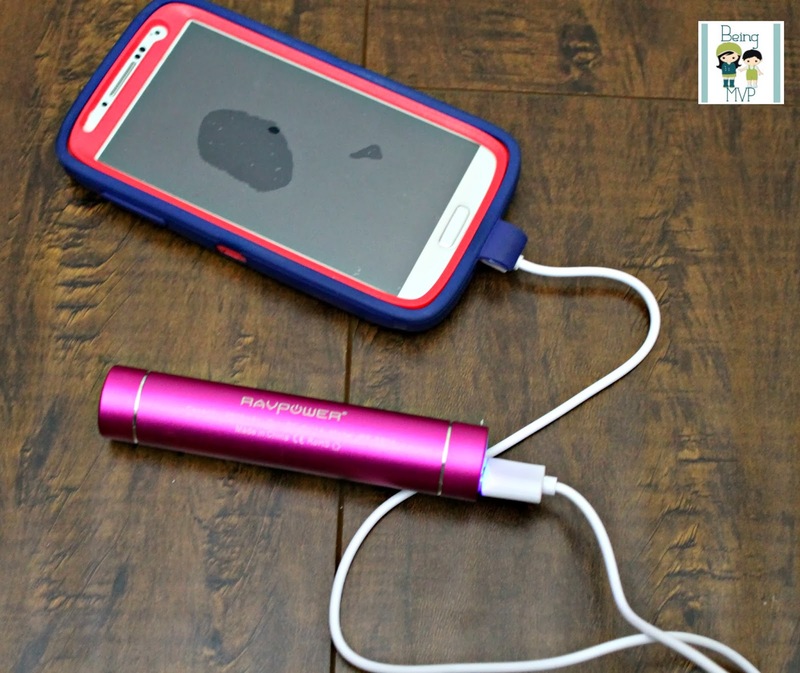 The RAVPower Luster Mini 3000mAh Lipstick Charger External Battery Pack Power Bank Charger ($19.99) is the perfect size for me to tote around. The bright pink color is super girly and Kenzie actually wanted to take it for her own because she spotted the flashlight feature (3 modes that can keep your toddlers entertained for some time). This is really easy to use in that you plug it into your computer's USB slot to charge and then flip the cord around to insert the microUSB into your phone (I have the Samsung Galaxy 4). One charge gives your phone an extra 8 hours of talk time. It takes a wee bit longer to charge than using a standard wall/car plug but when your battery is screaming red, this is the perfect choice. For the heavy phone user, the RAVPower Deluxe External Battery Charger 14000mAh Portable Power Bank Pack ($39.99) is a great option. The concept is the same as the lipstick charger except that you can charge 2 devices at the same time with the dual USB ports and 4 adapters are included. You can get 7-8 full charges on your device(s) per 1 charge of the pack. You press the button It's about the size of your palm and would be great when traveling or at an event. Hubs enjoys using this charger as he is constantly on social media, playing games and reading the news. Both products are well-built and can withstand being dropped. The design is sleek and modern. These are must haves for any tech lover! Make sure to connect with RavPower on Facebook and Twitter! Sounds like a great product! I could use the extra talk time, too! I love it super cute! Love that it looks like a lipstick and that it charges for 8 hours! This is great! It would be awesome, I am always forgetting to charge my phone.